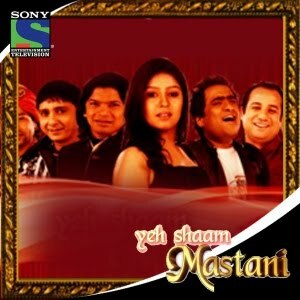 This was a brilliant 13 episode concert reality show on Sony Entertainment television featuring the musical genius of India’s best singers like Kailash Kher, Rahat Fateh Ali Khan, Sukhwinder Singh, Shankar Mahadevan, Shaan and Sunidhi Chauhan. Mini hosted 13 hour long concerts where these top singers regaled audiences by singing their all-time favourites. Each episode will showcased the musical prowess of one artist who Interspersed with their music was an up close and personal chat with Mini about their personal lives and candid, fun moments with her, their loved ones and family.